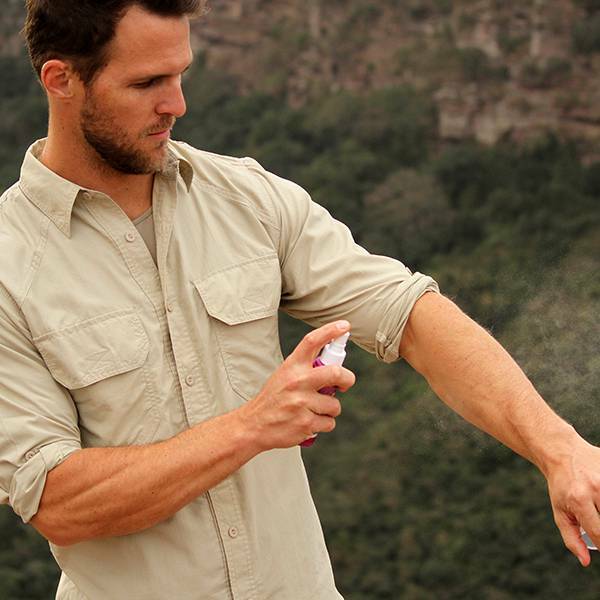 On safari & outdoors, Australian-made RID™ Tropical Strength is tested, trusted repellent for clients outside the UK and EU. 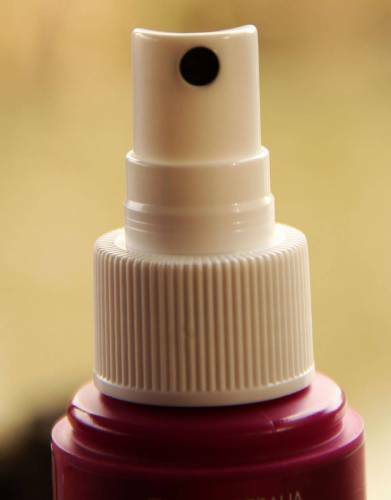 In a spray bottle for all-over application, enjoy long-lasting protection. 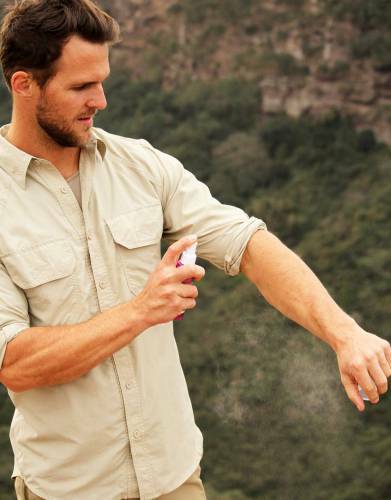 In a handy spray bottle for easy-on, all-over application, RID™ is a safari and outdoor staple for every traveller and adventurer. Why pack RID™? The answer to that is very simple: because IT WORKS! 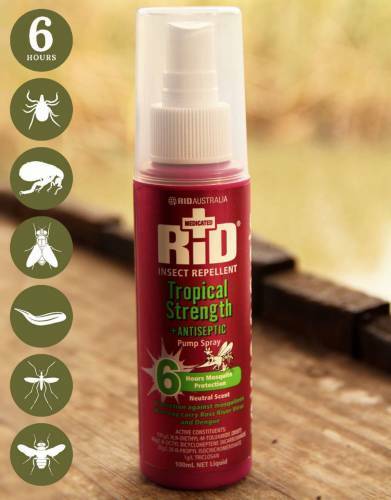 RID™ will protect you from all biting bugs (mosquitoes, sand flies midges, ticks, fleas, and tsetse flies), mosquito-borne diseases, and those pesky flies, ants and leeches, just as it has been doing since 1956. 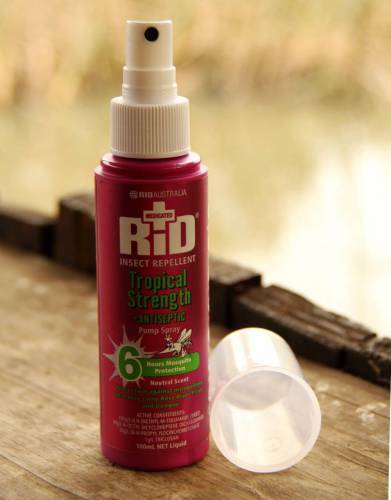 RID™ also contains two additional repellents, including a fly repellent, that other insect repellents do not include in their formulae. Furthermore, RID™ contains antiseptic to kill a wide range of bacteria (introduced by the insect bite or by scratching the area around the bite) which helps to stop the spread of infection. The range is also medicated and contains Vitamin E for moisturising, chamomile for its soothing relief, and Triclosan (an anti-bacterial/inflammatory agent). Size of Bottle: 100ml. 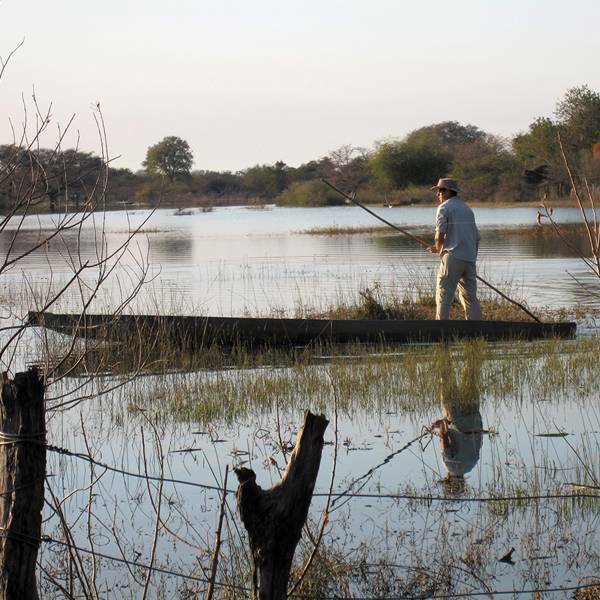 I have used RID on your recommendation in Zambia and even the Kafue tsetses stayed away, so it’s great stuff! Just bought some Rid for myself. My son and daughter-in-law did two years in the Peace Corps in Kenya and swore by Rid. Until I sent them some they were bitten alive despite having all the Cutter and Off products available. Afterwards, never a bite. This is great product does what it says on the tin very effectively. I didn't get any bites except when I forgot to spray one evening and got bitten on the tip of my finger. It has a pleasant smell and did not melt any plastic unlike the DEET based products are prone to do. Will definitely be using in the future. 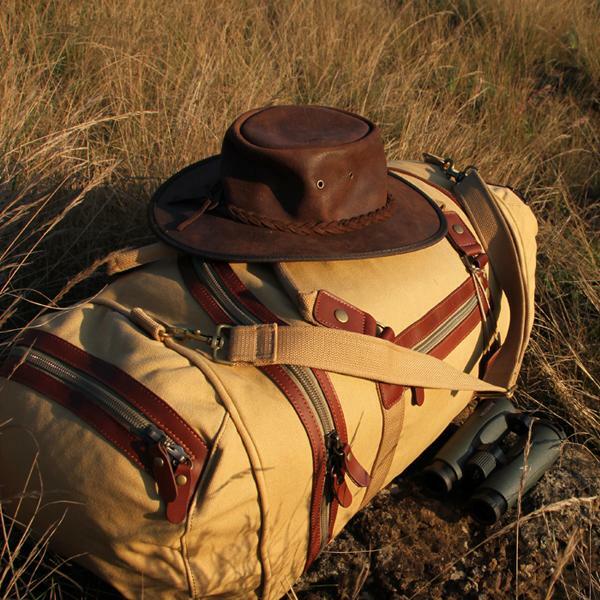 We first went on Safari in 2012 and after some research took RID with us. 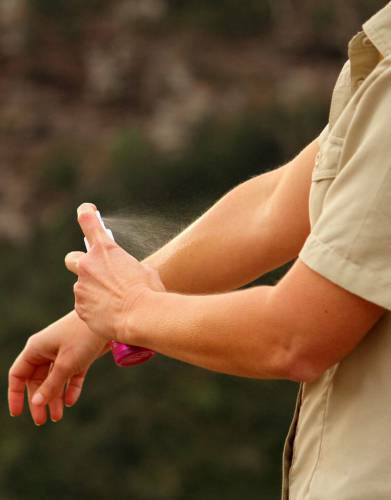 Since then we have holidayed in the Caribbean and RID is still our 'go to' insect repellent. I have taken cheaper alternatives as well as RID and the only time we get bitten is when we use the other insect repellents. RID all the time from now on and with the added benefit of an antiseptic I am sold on this product.! 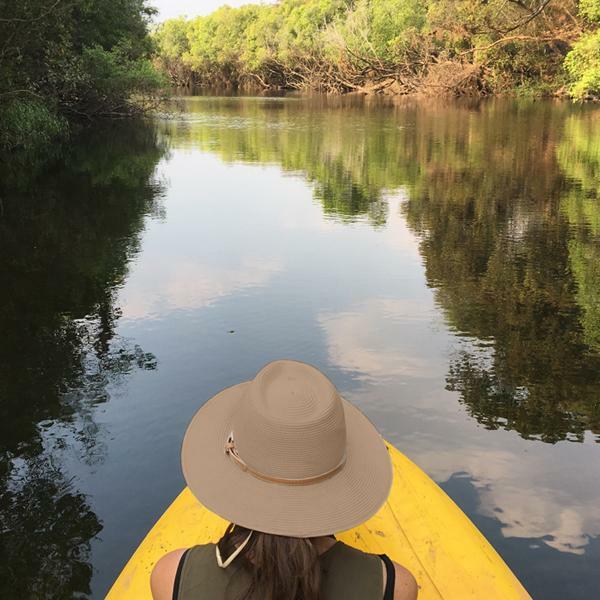 Ordering and delivery from the Safari store is always easy and efficient too! 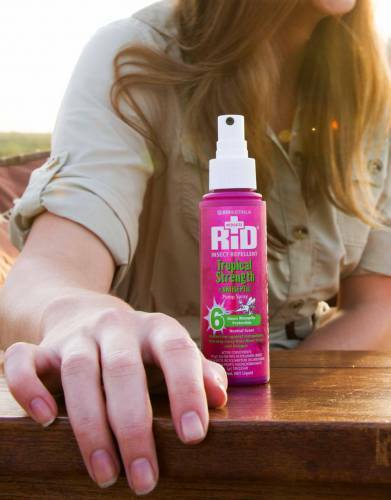 I used RID on recommendation when visiting Zambia and Botswana, Really good protection, smells ok and unlike other deet heavy products it didn't melt my nail polish or my shoes! I've since used it in Greece, and I am buying more for a trip to the Amazon.